Nah, doesn’t have quite the same ring as “Go ahead, make my day”, does it? This, though, is what the 78-year-old Clint Eastwood is reduced to snarling in his latest movie as star and director, Gran Torino. Yes, the abiding demand of old codgers everywhere: “Get off my lawn.” Has it really come to this for the great icon of American masculinity? It appears so. 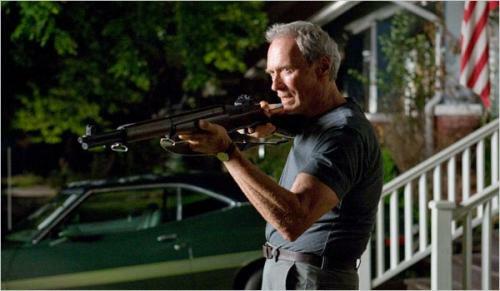 Gran Torino is reportedly Eastwood’s final acting role, so his portrayal of the film’s aged widower Walt Kowalski cannot help but appear as a last wheezing gasp for the type of tough guy he has embodied for most of his career, a farewell to Dirty Harry and all his kind. All of which makes what the movie has to say – about Eastwood’s screen image and about contemporary America – even more fascinating. 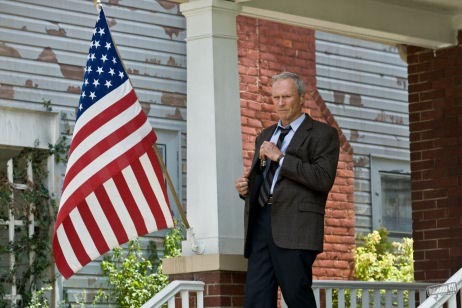 Gran Torino’s Walt is a blue-collar bigot. A veteran of the Korean War who spent 50 years working on the line in a Detroit Ford auto plant, he is completely out of step with the times. His dismay at the changed world around him is clear from the start of the movie, which finds him in the process of burying his wife after a lifetime together. He has no affinity with his middle-aged yuppie sons (they drive foreign cars, for heaven’s sake), his disrespectful, midriff-baring, mobile-using grandchildren appal him, and he has nothing but disdain for the young priest (a “27-year-old over-educated virgin”) who wants to honour a promise he made to Walt’s late wife and get Walt to attend confession. As for the once all-white neighbourhood where he has lived for years, don’t get him started. He’s full of contempt for the Asian immigrants he now lives among, spitting out a stream of racial slurs that would make Alf Garnett or Al Murray (or Archie Bunker, to give an American example that Walt would recognise) seem beacons of tolerance. 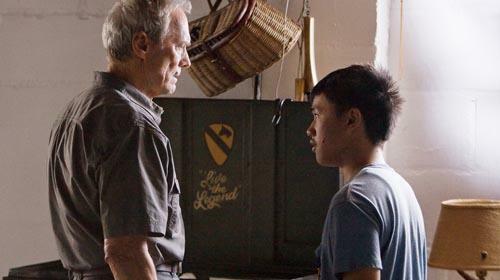 Walt only begins to have any contact with his neighbours after he catches shy 16-year-old fatherless boy Thao (Bee Vang) trying, as part of an initiation rite to join a local Hmong gang, to steal Walt’s treasured 1972 Gran Torino car. Even then, he wants nothing to do with Thao and his family, but thanks to the insistence of Thao’s older sister, Sue (Ahney Her), he gets the boy to do a series of small jobs around the neighbourhood as payback for his attempted crime.  Is this a last hurrah for Dirty Harry? No. 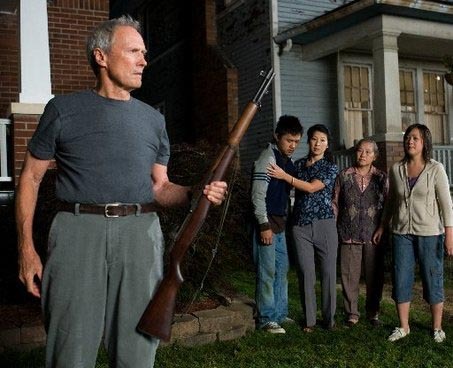 In fact, the way that Gran Torino finally deals with the question of violence turns out to be a repudiation of Dirty Harry and all he stands for. When Eastwood made Unforgiven the best part of two decades ago, the movie – in which an ex-gunfighter reluctantly returns to the way of the gun with grisly consequences – was widely seen as a corrective to the Westerns he had made in his career. But Unforgiven was ambivalent about violence and it was still possible, if you were so disposed, to cheer legendary gunman Clint’s fearsome prowess. Gran Torino goes much further, however, towards a rejection of violence as a solution, though you’ll need to see the movie to find out how.